Measuring a tremendous 8" x 9 1/2" in size, this incredible Type I photograph captures Joe Jackson in a close-up portrait just months before being traded by the Cleveland Indians. Already a star in the league, Jackson had seen his batting average slip for five consecutive seasons with the Indians, from an incredible .408 clip in 1911 down to "only" .327 midway through the 1915 campaign. The Indians sent Jackson to the Chicago White Sox in August for Ed Klepfer, Braggo Roth, Larry Chappell and $31,500 cash. And while the Shoeless one was instrumental in helping the White Sox win a World Series in 1917, his alleged participation in the 1919 Black Sox conspiracy led to his banishment from baseball following the 1920 season, just as he posted a .382 average with 121 RBI and a league-leading 20 triples. 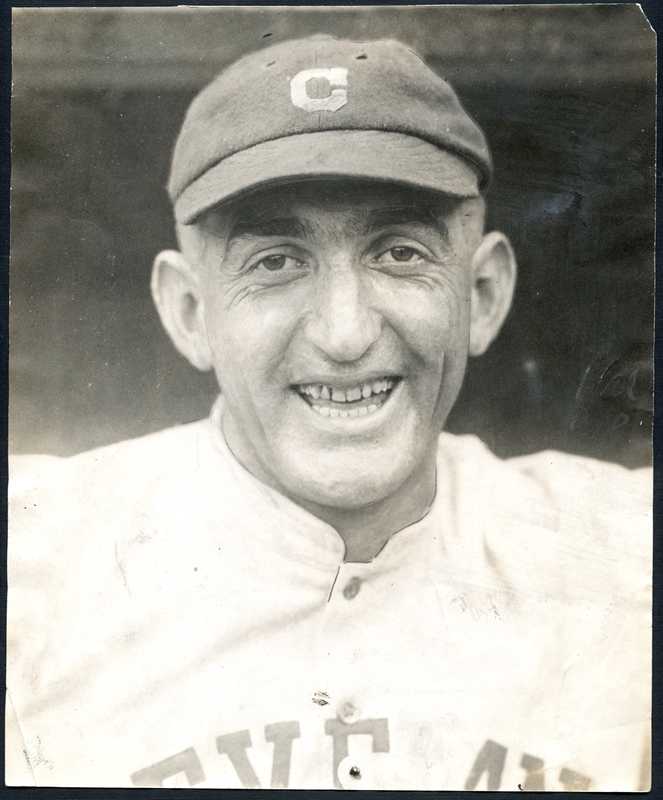 The featured photo is the best look at Shoeless Joe that we've ever seen, his weathered face and rotting teeth making it hard to believe that he's but 27-years old here. 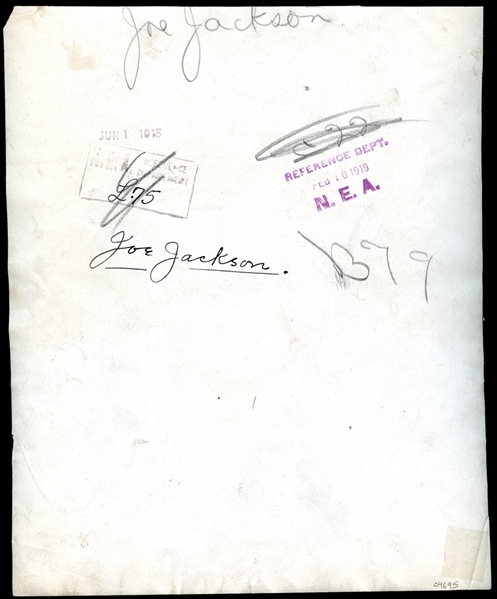 The condition of the photo is as remarkable as the image, showing only minor to moderate wear with a crease or tear to the lower left corner that is reinforced on the reverse with tape. Several notations are on the back, with the original time stamp showing Jun 1, 1915. One of the best images in existence that fully captures the infamous Shoeless Joe Jackson. Strongly recommended.